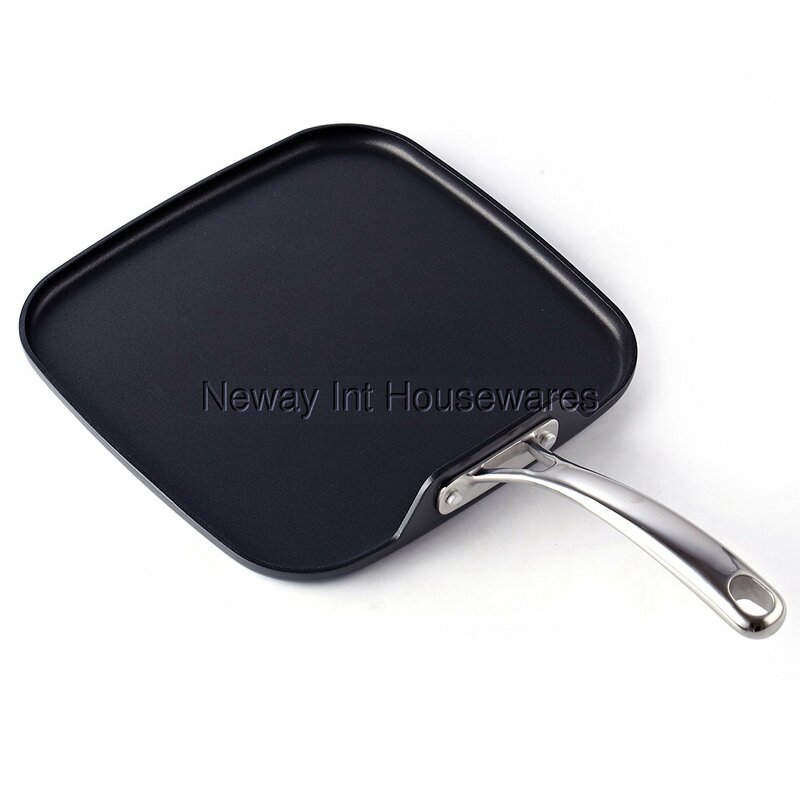 ​The Cooks Standard hard anodized nonstick square griddle pan, 11 x 11-inch, Black has a hard anodized surface that is durable and harder than stainless steel. The heavy gauge aluminum core distributes heat evenly and prevents hot spots. Nonstick coating delivers exceptional performance and makes cleaning easy. Lead, cadmium, and PFOA free. Stainless steel handle stays cool and is riveted for strength. Works on gas, electric, glass, ceramic, halogen, etc. Oven safe to 500F. Not induction compatible. Dishwasher safe, hand wash recommended. Works on gas, electric, glass, ceramic, halogen, etc. Oven safe to 500F. Not induction compatible. Dishwasher safe, hand wash recommended.